The Checketts Family: Ken's Birthday EXTRAVAGANZA!!! Yesterday, March 23rd, was Ken's Birthday! Sam and Jake are on spring break from school and have been spending it with us here in Texas, so we decided to decorate and make a super special birthday suprise for Ken! As you can see we blew up blue and white balloons (UK style, Kens favorite!) And as you can't see, we also hung blue and white streamers all through the house! We pretty much just made 2 cheesecakes and flipped on top of the other after spreading the filling in between :) But it was sure YUMMY!! Ken thought the candle design actually looked like a Christmas tree :) But it just worked out that way on accident, I PROMISE! It pretty much looks like I'm carrying a massive fireball, haha it was awesome!! Hey Aunt Connie! 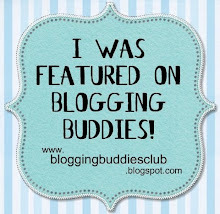 Do you have a blog?! I need the address so I can access it! We miss you and your family and everyone in Boise! We hope to be able to see all of you sometime this summer! Happy Birthday Ken! Wish we could of been there to celebrate with you guys! The cheesecake sounded great. We will have to make one next time we are together! Love you guys lots and lots!